Postoperative recovery or post-surgical recovery is the phase of healing and repair which a patient experiences after a surgical procedure. Late recovery- When the patient recovers completely and reaches a state of normal vitals as prior to the surgery. Surgery, though a technique employed to cure or reduce an individual’s illness, is an invasive procedure and hence is likely to elicit a response from the immune system similar to the response the body would give when injured. Different kinds of surgery pose varied risks and susceptibilities. Hence it is essential to understand that post-operative care is as important or maybe even more important than pre-operative preparation. Due to the increase in quality of treatments and proportionally increasing expenses associated with healthcare, it has now become necessary to search for novel, cost-effective and safe techniques to combat risks associated with post-surgical recovery. Turmeric is a culinary spice whose use dates back to the Vedic era in India. Sanskrit literature serves as evidence demonstrating the utility of turmeric as an herbal elixir. 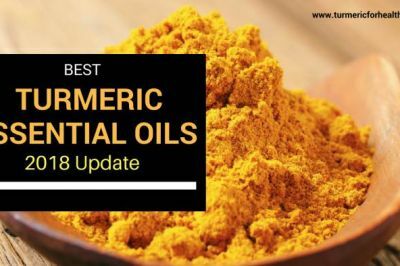 The herb possesses in numerous pharmacological properties which contribute to its healing powers and these properties find their origin in the chemical components of turmeric powder. This article is dedicated to evaluating the biological properties of turmeric against post-operative complications. Turmeric has over 100 biologically active constituents. The major components are the volatile oil-turmerone and the coloring agents- curcuminoids. Curcuminoids comprise curcumin, demethoxycurcumin, and bisdemethoxycurcumin which are natural antioxidants. Curcumin is responsible for the biological activity of turmeric. 7. 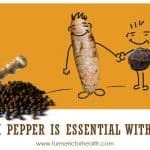 Turmeric as an Antidepressant: Helps you cheer up! This broad classification includes a variety of symptoms and we will now try to understand how turmeric can help in evading some of the complications associated with postoperative recovery. 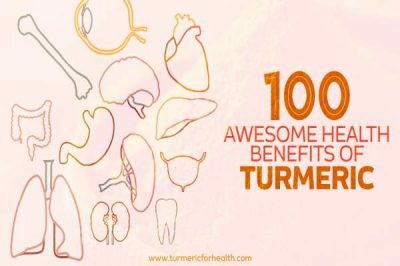 You will be amazed how awesome turmeric is for all these! Pain is perhaps one of the most common outcomes of surgery. The immune system views the surgery as an injury and hence reacts to it causing pain in the process. Pain can be localized to the surgical wound or systemic as in affecting the mobility of the patient. A study was conducted at Stanford University School of Medicine, California to evaluate whether curcumin present in turmeric could treat postoperative pain. Lab mice were subjected to a cut in their hind paws and their response to curcumin treatment was observed. Results showed that curcumin did reduce sensitivity to mechanical pain and heat sensitization. The effect of turmeric on reducing postoperative pain in patients who have undergone surgical removal of gallstones has been studied in India. Results indicated that patients were given a combination of curcumin and pain killers reported reduced pain in comparison to those provided with only painkillers and also consumption of painkillers decreased with time in the group supplemented with curcumin. The anti-inflammatory property of turmeric finds its role in eliminating pain and inflammation associated with post-surgical conditions. Curcumin present in turmeric contributes to this property by regulating the pathways of the immune system responsible for inflammation. It downregulates enzymes and proteins which promote inflammation. This mode of action is even reported in the previously mentioned Stanford study where incision inflammation and swelling was reduced by curcumin treatment. Research conducted in Cleveland clinic, Florida reported that curcumin’s anti-inflammatory properties reduced the chances of rejection and aided normal functioning of transplanted kidneys. In this study, curcumin was incorporated as a part of the bioflavonoid therapy and given after the surgery. Another property by which turmeric helps to fight pain is that it acts as an antinociceptive agent. In other words it helps to reduce sensitivity to pain. One way by which turmeric brings about this effect is by affecting systems involved in spinal pain processing (pain perceived by spinal cord receptors). This effect has been studied in rats exposed to agents causing the gastric ulcer. These lab rats were injected with curcumin and subjected to pain caused by heat. 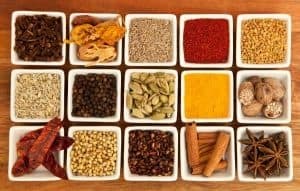 Curcumin proved to be an effective antinociceptive agent and the study also suggested that curcumin is better than commercially available pain killers. A study in China exclusively focuses on the antinociceptive effect of curcumin on a rat model for postoperative pain wherein the right hind paw of the rat was surgically incised and an oral dose of curcumin suspension was given twice daily for 7 days. A remarked reduction in pain and also fast recovery was observed in the curcumin-treated rats. Turmeric has been used for thousands of years in countries such as India for its antimicrobial properties and wound healing. Surgical site infections account for a major source of illness and can even be fatal. Our skin serves as an external barrier to microbes; therefore any surgical cut made in the skin could possibly serve as an entry point for infection. This class of infection can be either restricted superficially to the wound or may be deep-seated in the muscle or organ near the surgical wound. Infection in the wound could lead to an accumulation of blood or pus. One of the most common infections is by MRSA-methicillin resistant Staphylococcus aureus (a strain of bacteria that is unaffected by the antibiotic methicillin). The antibacterial activity of curcumin against MRSA has been greatly investigated. A comparative study of extracts of turmeric in different mediums to test its antibacterial activity against MRSA was performed in South Korea; the results indicated that not only does curcumin terminate the infection but also inhibits any prospects of infection by acting as a barrier and altering the mechanism by which the bacteria could enter the cell. Curcumin in combination with commercially available antibiotics has also proven to be effective against MRSA, thus leading to the possibility of development of a new combination of antibiotics. Acinetobacter baumanni is another pathogen that is likely to infect surgical wounds and it is found to be resistant to a variety of drugs. Curcumin along with an antioxidant isolated from green tea has strong antimicrobial activity against MRSA. 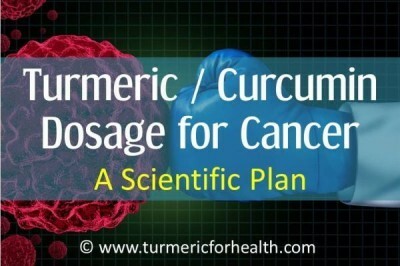 Turmeric finds it use in wound healing due to curcumin. The time taken for wound healing was observed in two groups of injured rats and guinea pigs: one treated with curcumin and one left untreated. Biopsy of the curcumin-treated wound showed quick development of the epithelial layer (outermost layer of skin containing no blood vessels), deposition of collagen and presence of cell types which are essential to the process of repair and remodeling of injured tissue. The antioxidant property of turmeric aids in wound healing. Cells are damaged by the presence of reactive oxygen species which combine with fats present in cell membrane (outer protective layer around cells), alter the natural structure of the membrane and lead to cell death. This process is called lipid peroxidation. Turmeric prevents this process by consuming the reactive oxygen species and increasing the levels of antioxidant enzymes. 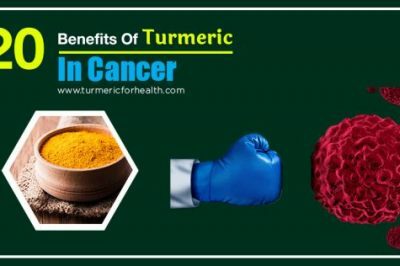 This effect brought about by curcumin has been studied and proven in a study conducted in wherein the wound healing property of turmeric was examined in artificially damaged human dermal cells. Blood clots are a solid mass of accumulated blood cells. They are beneficial in case of an injury where they help in preventing bleeding but clots can be harmful when they obstruct blood flow in healthy blood vessels. Deep vein thrombosis or formation of a blood clot in a vein deep inside the body is one of the complications seen in the postoperative period. Visible symptoms of blood clot including swelling, redness and a warm spot in the affected area. Other symptoms are based on where the clot is located. 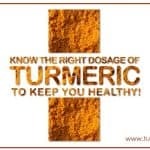 Turmeric has anticoagulant or blood thinning property. Curcumin prevents the formation of a blood clot by increasing the blood clotting time and inhibiting the production of thrombin – enzyme that promotes blood clotting. Curcumin also acts as a blood thinning agent by preventing platelet aggregation via anti –thromboxane (a compound leading to production and accumulation of new platelets) activity. Innumerous research has proven curcumin’s cardioprotective property which is based on the fact that it is an anti-inflammatory and antioxidizing agent. Curcumin was found to be protective against an artificially induced heart ischemia in rats, when administered 30 minutes prior and after the ischemia. In curcumin treated rats turmeric’s antioxidant effect helped to reduce the ischemia while the control group suffered severe cardiac damage. Hypertension is a risk factor for atherosclerosis-condition in which arteries become narrow due to the accumulation of white blood cells and cholesterol. Various components present in the turmeric extract have been reported to be protective in atherosclerosis due to its antioxidant effect. Respiratory complications after surgery are caused due to reduced cough reflex and the accumulation of secretions in the throat. Respiration is hampered because deep respiration causes pain in the surgical wound (if the wound is located in the abdomen or thorax) and the cells of the lung do not inflate sufficiently leading to retention of secretions. Turmeric volatile oil has proven to be effective in relieving cough and removing sputum. Another study reports that the antidepressant effects of turmeric at a dose of 560mg/kg is more potent than commercially available antidepressant fluoxetine . Post surgical depression is caused due to anesthesia, medications, pain, constipation due to medications and a general state of disorientation. Turmeric is useful against depression. 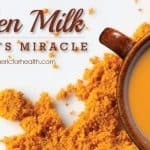 A study in which ethanolic extract of turmeric was administered in mice for 21 days that were then subjected to standard experimental tests to check anti-depressant activity of a drug, showed that antidepressant properties of turmeric were a result of alterations of brain-related chemicals and hormones. Postoperative fatigue generally lasts for a month in about 33% of the patients undergoing surgery. Nutritional parameters, lack of exercise, preoperative stress and post-operative pain contribute to this condition. Curcumin is reported to be an immunomodulatory agent. 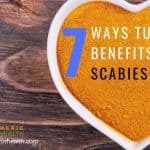 It can reduce inflammation as well as at low dosage it can enhance the body’s immune response. Curcumin was reported to reduce postoperative fatigue in research conducted on patients who underwent surgical removal of the gallbladder. Its antioxidant, anti-inflammatory and wound healing properties were held responsible for this phenomenon. 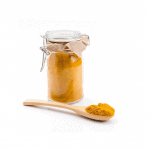 There is no specific dosage of turmeric outlined for post-surgical care. 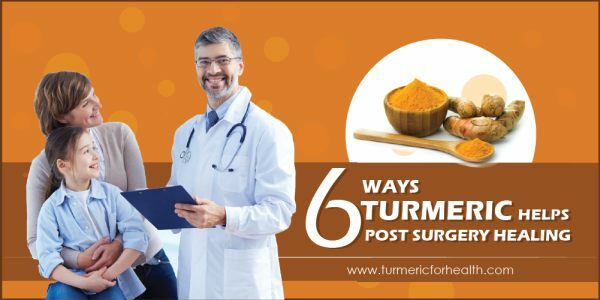 Based on the experience of users and from the results of studies we have summarized various ways in which turmeric can be helpful in Post-Surgery Care. Turmeric roots are a great addition to diet but the amount we consume isn’t sufficient to have significant therapeutic effects in post-surgical care. 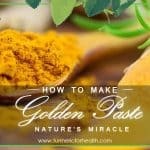 This is the ideal dose of Golden Paste where you should experience relief. Some individuals do fine on small doses while some need more. 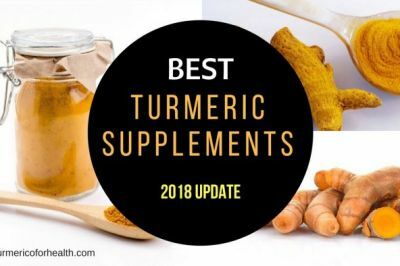 Turmeric supplements are to be taken with caution and only with doctor’s advice. Taking a dose higher than prescribed for a particular condition or consuming other drugs with it which could have possible interactions could be injurious to health. 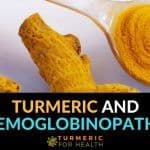 As it has reported blood thinning activity, turmeric supplements should be discontinued 2 weeks prior to surgery. 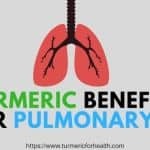 Care should be taken while giving turmeric supplements to patients’ suffering from gallstones, bile passage obstruction, and digestive disorders. The study conducted was aimed at determining the effects of treatment with curcumin in an animal model of post-operative pain with respective to an analgesic (pain killing) potential, anti-inflammatory activity, and the functional outcomes. The animals were anesthetized, a surgical incision was made on the right hind paw and surgical settings were mimicked. The mice were either administered curcumin of dosage 50 milligrams per kilogram or a vehicle (a control analgesic solution). The dose was given prior to incision and 4 days post-incision. The sensitization towards mechanical stimuli (pressure, tension or displacement) and thermal stimuli (warm sensation) as well as effects on edema (swelling) and temperature were measured up to 7 days after the surgical incision. The pain caused due to inflammation was studied up to 14 days post-incision. The spontaneous pain after making an incision was observed and alterations in the gait function (evaluating the manner of walking style) were also studied. It was observed that there was a significant decrease in the intensity of the mechanical and heat hypersensitivity (exaggerated immune response to mechanical or heat stimuli) in the curcumin group. It was observed that the curcumin-treated mice showed a significant decrease in the effects of inflammation induced pain. Curcumin also helped in reducing the swelling following the surgical incision giving the evidence of its anti-inflammatory effects. Gait-related changes were normalized by curcumin. There were no effects of curcumin observed in the baseline pain threshold and also no changes in inflammatory mediator levels were observed. Transforming growth factor-beta (TGF-β controls cell growth and proliferation) levels were increased under the same conditions. The vehicle-treated mice showed evidence of spontaneous pain during the 48 hour period after the incision, whereas no evidence of any ongoing pain was observed in the curcumin-treated mice. No adverse effects of curcumin were observed. Curcumin demonstrates several potential mechanisms that are effective in regulating post-operative pain which includes regulating epigenetic mechanism (processes involving heritable changes in gene expression), anti-inflammatory properties etc. Curcumin shows significant activity against enzymes like DNA methyl-transferase which are involved in modifications of DNA and gene expression. The mechanical sensitization following surgical incision is regulated by receptors whose activity is under epigenetic control (switching on and off of genes). Curcumin helps in reducing the pain-related hormone levels in the surgical wounds. In this animal study, it was observed that curcumin did not have any significant effect in the decrease of the pro-inflammatory mediators present in the skin even when it reduced the edema in hind paw of the mice. 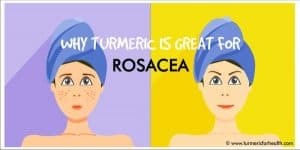 However, curcumin treatment was helpful in increasing the TGF-β levels in the incised skin. 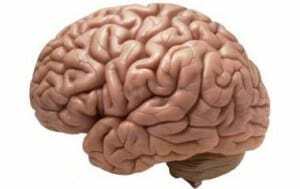 TGF-β is known to play an inhibitory role in normal nociception (sensation to pain), inflammation as well as neuropathic pain (pain in hands and feet caused by damage to the nerves). The painkilling property of curcumin can be related to the modulation of the spinal descending monoamine system (involves brain chemicals that interact to produce the overall pain experience). The study showed that treatment with curcumin was effective in reducing and relieving the inflammation induced by surgical incision, nociceptive pain, and preventing abnormalities in the gait functions. The preclinical findings observed in the study using the animal model proved that curcumin has the potential to act as a preventive strategy which can be applied in the post-operative treatment and can serve as an alternative to regular painkillers. Postoperative recovery is an extremely vital period in the process of healing. Generally, people are anxious to get through the surgery and once successful, they tend to neglect their health. After the surgery, the body is still fragile and trying to get accustomed to the intentional alteration in the system. Therefore it is necessary to give it the extra care and support it needs at that time to recuperate and return to its normal state. Healthcare expenses are overburdening and it would be really helpful to look forward to inexpensive alternative treatments. 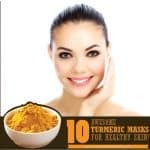 Turmeric with its potent protective properties can be of use in boosting immunity by daily consumption in food, as a wound healing agent by applying turmeric paste or even as a painkiller by consuming supplements. I’m on day 9 after getting my tonsils taken out. Im still having a lot of pain…just wondering is turmeric is safe to have yet? They advised me not have it before the surgery because of blood thinning properties, but they didn’t say much about after. I haven’t hadn’t had any bleeding since the surgery. Thanks in advance! Hi. After surgery, whenever you resume your regular diet, you can start including turmeric in your diet as well. However, since you are still experiencing pain we would suggest consulting your doctor about this. 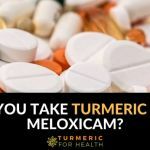 can Turmeric interfere with post surgical spinal fusion process? I, as i am writting this, am drinking my first cup of turmeric tea. I recently had spinal fusion and can not take nsaids. In an attempt to alleviate my chronic pain and inflammation i am giving it a try! 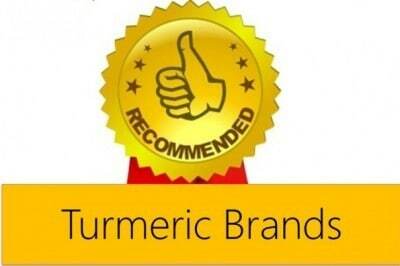 Glad to hear that you are considering turmeric for pain relief. Do keep us updated and let us know if you need any help. I have the capsules as well and my pain is not being managed very well and i just found out i got lupus and rheumatoid arthritis is terribly painful and i been coping poorly. I just am a month and half out from having a 3 level acdf and I’m in terrible pain. 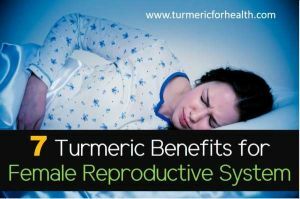 Can you please tell me how many of the turmeric capsules you take a day? I don’t trust my NPs answer on whether it will interfere with the fusion. May I ask what your MD or NP said about using it? I started to use it last weekend but then stopped due to the blood thinning capacity. I just don’t want to mess anything up but want to stop the narcs asap. Thanks! Please stop experimenting on animals!